This card was created based off of this week's challenge at Paper Players. 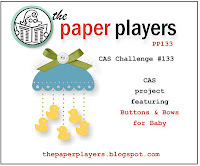 The challenge was to create a card featuring buttons and bows for a baby. 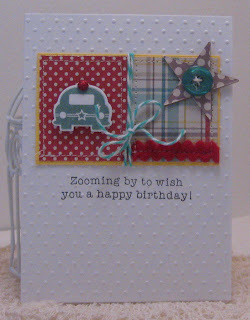 DP's from MME, stamps, dies, buttons and ink from PTI, baker's twine from The Twinery, misc. felt ricrac.